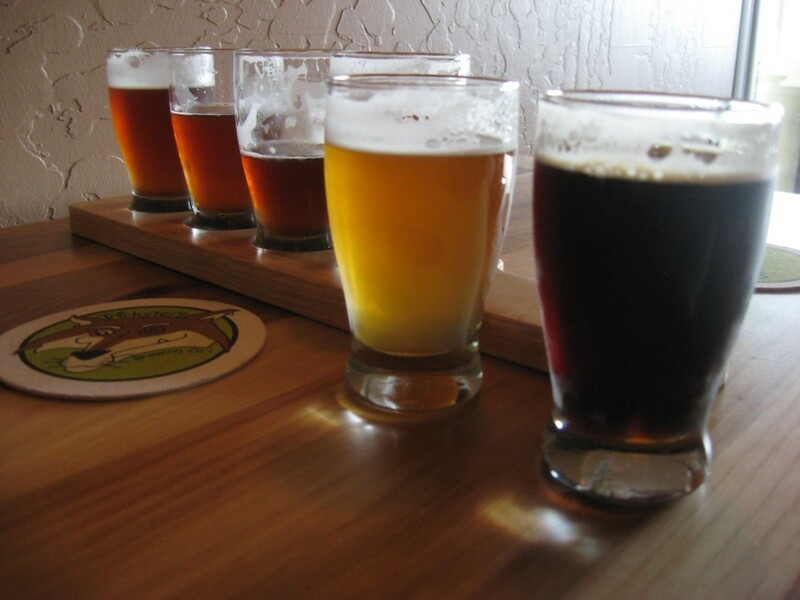 Is organic craft beer really worth drinking? Finding a craft beer is easy. Finding an organic craft beer? Well, that’s another matter entirely. Despite the artisanal nature of the craft beer industry, the majority of brewers have opted to forego obtaining organic certification. But those who have embraced the concept of organic brewing are quite passionate about it. Stone’s Imperial Russian Stout (yes, they refer to it that way instead of Russian Imperial Stout) is a solid, solid Impy Stout. It’s also one of the older ones produced in the United States. Typically, of Stone products, it has very strong, in-your-face flavors, high ABV, and apologizes for nothing. Orange and soft yellow hues. Hazy. White head of foam that falls pretty quickly but leaves a thin film on top and sheets of shimmering lace. Good stream of effervescence. Nose is wicked with sixpoint style tropical fruit. Alight touch of candi sugar and a sweet little toasty biscuit. Citrusy. Light bubblegum. Floral. taste is alight touch of fruit, a sturdy belgian dry malt . A dry cracker in the drink. Taste follows the nose except for a touch of spice. There is a tartness mid palate that is lovely and juicy. Orangey. Moderately dry finish with only a faint tickle from sweetness at the back of the throat. Finishes with a light hop bitter, a touch of pepper on a medium light body. I think that this beer is a terrific example of a classic belgian style made with ‘different” hops. It does not ask you to suspend your disbelief at all. It is a belgian pale in every way. Drinks like a text book example. It does have a bit of an edge from the different hops. I chose that word because the fruitiness is so soft and gentle. The malt qualities in this beer they are sturdy and not shy or lacking in confidence. The edge is in the contrast between the texture that the american style hops lend to the palate and a delightful toastiness drizzled with tartness. I think they did this extremely well. To the novice, Belgian beers are thought to be by turns “heavy” or “rich” and “full-bodied”, but such descriptors believe the fact that Belgium’s beer tradition—in addition to many a very big brew—includes super-refreshing, lighter styles, too. Miguel Silva, Beverage Director of Villains Chicago, a soon-to-be-opened craft-focused beer bar in the Windy City’s Printer’s Row area with 40. handles and deep bottle list, got into these full-flavored brews (among others) in the 1990s, exploring the famous lists at places like The Map Room. Ditching his career as a mortgage lender in June 2007, he was soon working in craft beer around the clock and taking trips into Michigan’s brewery- and beer bar-dotted Upper Peninsula. Smart moves. What’s your favorite summer beer style? Tell us below. The winning beer in question? Genesee Cream Ale, which debuted in 1960 and became for a time the best-selling ale in the United States, with some 1 million barrels annually rolling out of the Rochester-based regional brewery—no small feat, given it was then barely distributed beyond the Northeast. The elder Geminn, Genesee’s brewmaster since 1959 and an assistant brewmaster there for eight years before that, had spearheaded the beer’s creation. 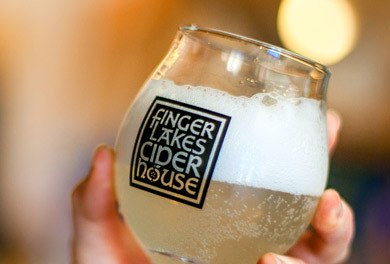 Twelve years off and on in Ithaca, NY, has given me plenty of time to observe the beer, wine, and food scene of the Finger Lakes region change and evolve. Wine has been going strong for the past few decades, craft beer has enjoyed an impressive growth in popularity, and the occasional craft distillery graces the landscape. Add to that all the local honey, fruit, bread, meats, cheese, and the like, and you have a veritable moveable feast to take with you as you explore the lakes of the region. And now we have something new to add to our picnic baskets: artisanal cider. Or should I say new again. Cider was a staple of the early U.S. colonies, and enjoyed a three-hundred year run before Prohibition put a cork in the jug. Sound familiar? MADISON, Wis. — The crucial genetic mashup that spawned the yeast that brews the vast majority of beer occurred at least twice — and both times without human help — according to a University of Wisconsin-Madison study published Aug. 11 in the journal Molecular Biology and Evolution.